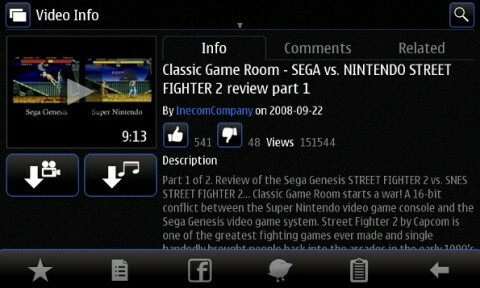 Browse » Home » Applications » CuteTube is coming to Symbian! CuteTube is coming to Symbian! The client YouTube " cuteTube "finally arrives on the Symbian platform having arrived several months ago on Maemo . The application is able to search videos, play them, and even download them to upload! You can also modify uploads, favorites, playlists and subscriptions of your account. Developed in Qt is shown, therefore an excellent alternative to YouTube client enabled by default on various Symbian and even Youtube Downloader to picoBrothers . The application will soon be available in the Nokia Store , in the meantime we offer an introductory video of the application. CuteTube is coming to Symbian! URL http://symbian2share.blogspot.com/2011/12/cutetube-is-coming-to-symbian.html. NEXT.